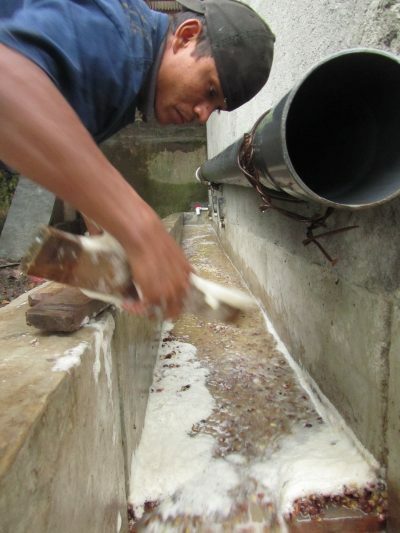 This Green Nicaraguan Finca Idealista Extended Anaerobic Fermentation nanolot is from Gold mountain coffee growers. 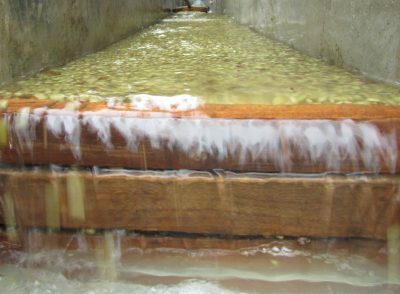 The Extended Anaerobic Fermentation nanolot from Finca Idealista was the result of experimentation with coffee wet processing techniques. Ben Weiner believes that extending fermentation time through temperature or by other methods has an effect on acidity and taste in coffee in all parts of the world. Finca Idealista removed all air from several batches of their Pacas and Caturra packed in parcels. 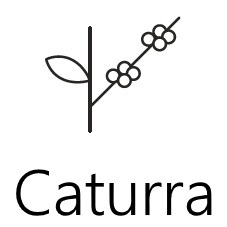 Pacas is a large bean cultivar related to Bourbon, and Caturra is a natural mutation of Bourbon. 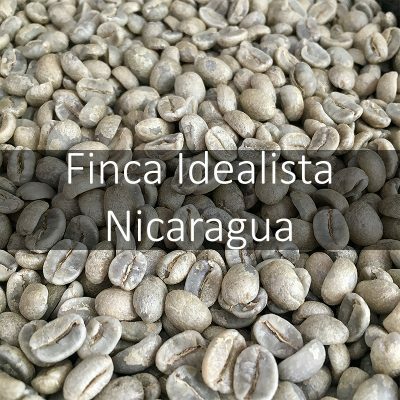 Normally these coffees from Finca Idealista produce a notable taste of mandarin orange. 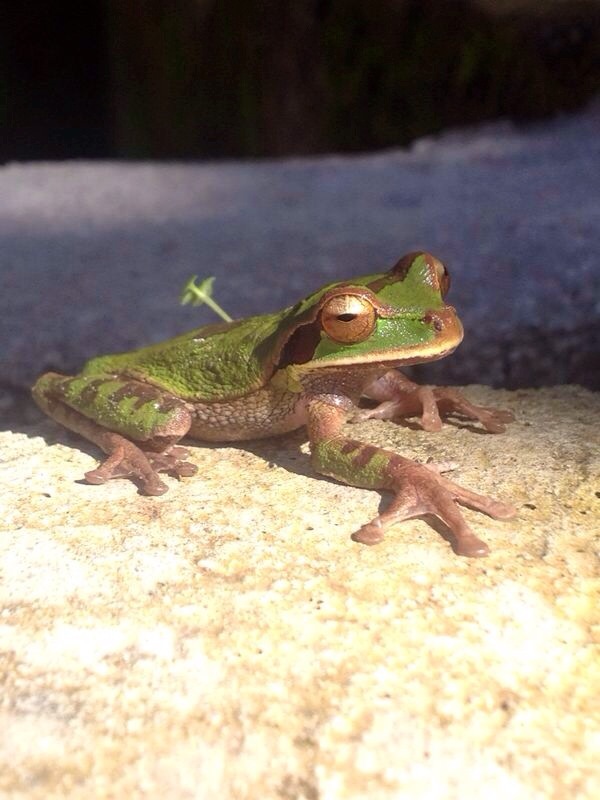 In this case, the extended anaerobic nanolot allowed for the accentuation of malic and citric acidities. Ben found that he tasted more notes of sweet mandarin orange combined with even more of the juiciness you’d find in a red apple. We found this too on our roasts, with raw fresh almond also playing in the background. 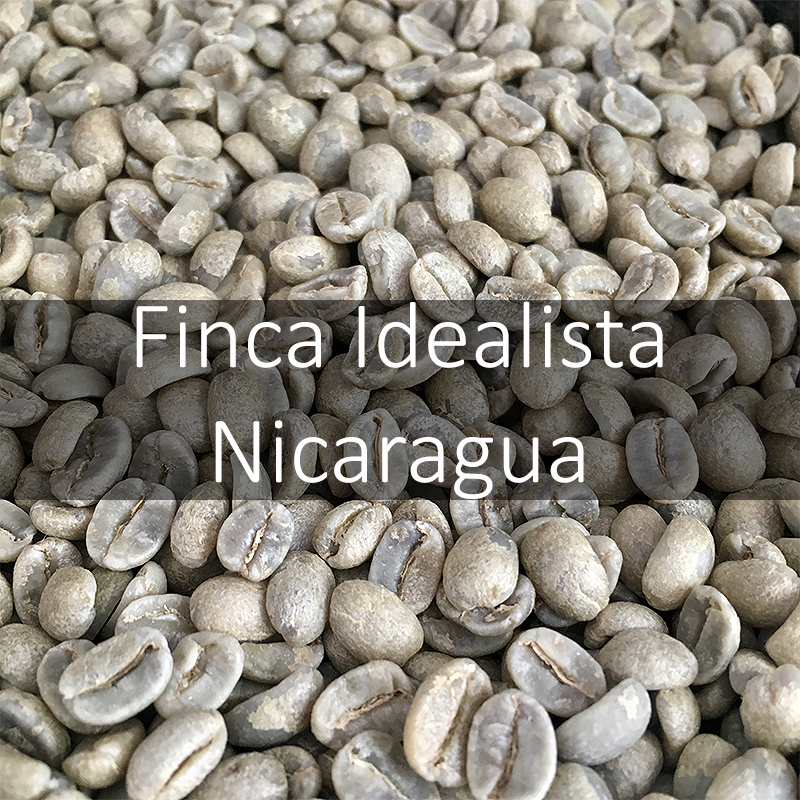 Finca Idealista sits on a mountaintop that borders a nature reserve, whose trees act as a natural air conditioner for its many varieties of award-winning coffee beans. 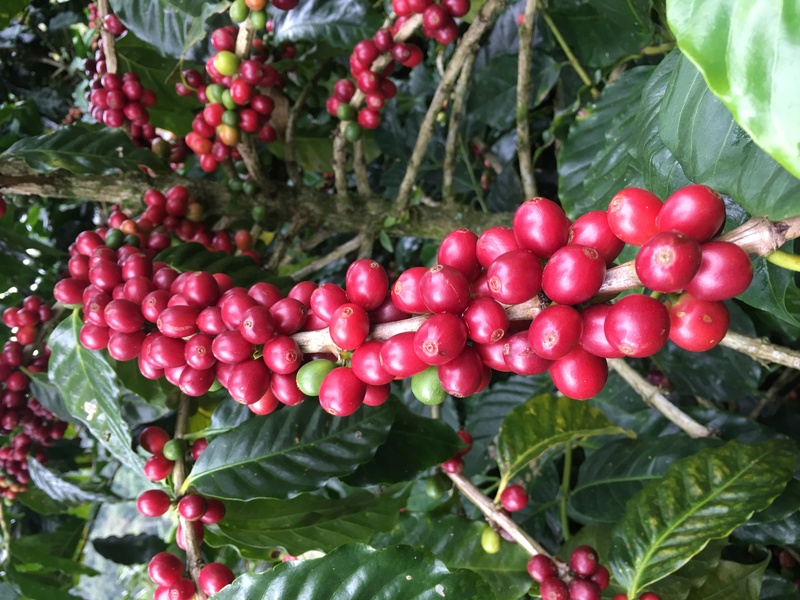 This cool microclimate lengthens the coffee cherry maturity process, allowing beans more time to absorb natural sugars and other attributes that contribute to a rounded cup profile. 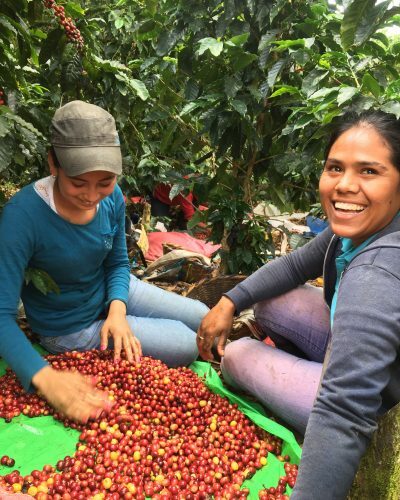 Finca Idealista workers receive the highest wages around. 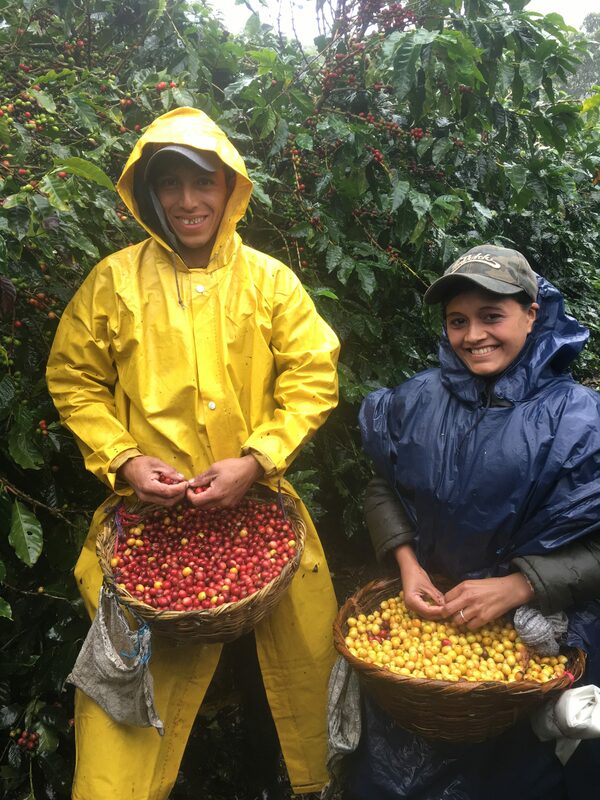 Local pickers are trained to pick only the reddest cherries so that the farm’s crop reaches its full potential and highest level of sweetness. Extraordinary care is taken, both during wet and dry processing, to inspect all beans and ensure that only the finest, ripest coffee is exported. 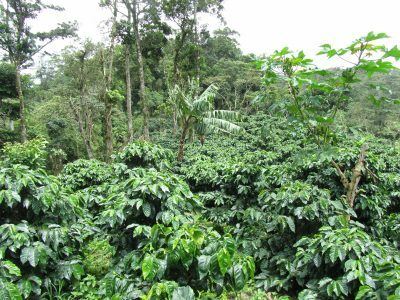 In addition to washed coffee, the farm has invested in special infrastructure to increase production of natural and honey process coffee, with outstanding cupping results. 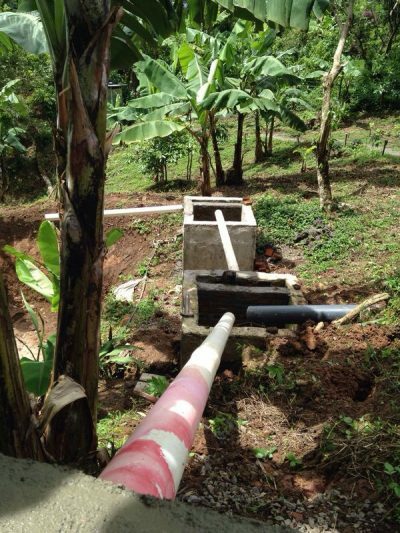 Finca Idealista invests in volcanic filters to protect the environment from run-off when coffee is washed. The volcanic material is brought from Masaya, one of Nicaragua’s volcanic regions. 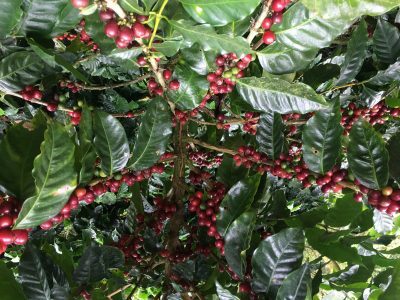 The farm saves its best coffee cherries to make coffee cherry tea and uses the rest as nutrients for coffee plants and fruit trees. Notably Idealista bought a rainforest just to protect its flora and fauna. In addition to its focus on quality, Finca Idealista, through its partner social enterprise Gold Mountain Coffee Growers, supports the growth and development of the community through educational supplies and running water for schools, scholarships and medical supplies, free computing classes for girls, and new initiatives based on needs assessment.Gold Mountain Coffee Growers won the SCAE Sustainability Award for joint economic and environmental achievements. 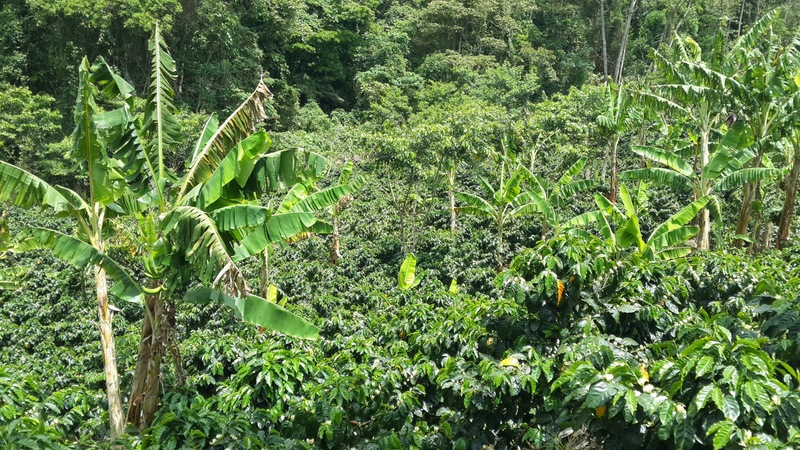 Nicaraguan coffee has a niche following. We have often found it difficult to find great Nicaraguan coffees that we would be happy to offer our fellow coffee lovers. 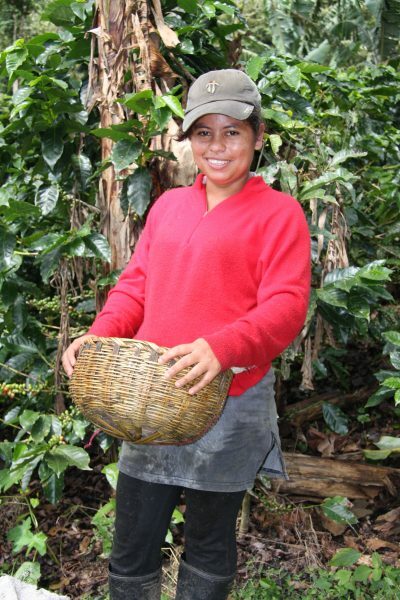 So far we have only offered 4 Nicaraguan coffees in the 12 years we have been sharing great coffees. We took a gamble on this coffee, since there was only one bag available. 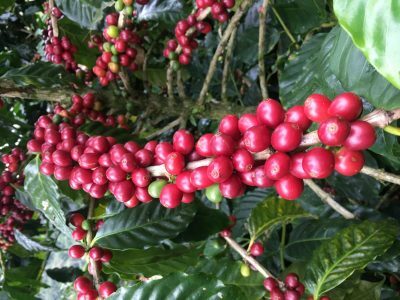 This gamble has allowed us to enjoy a coffee that is sweet and juicy but still has a classic nutty base to it, normally associated with Central American coffees. 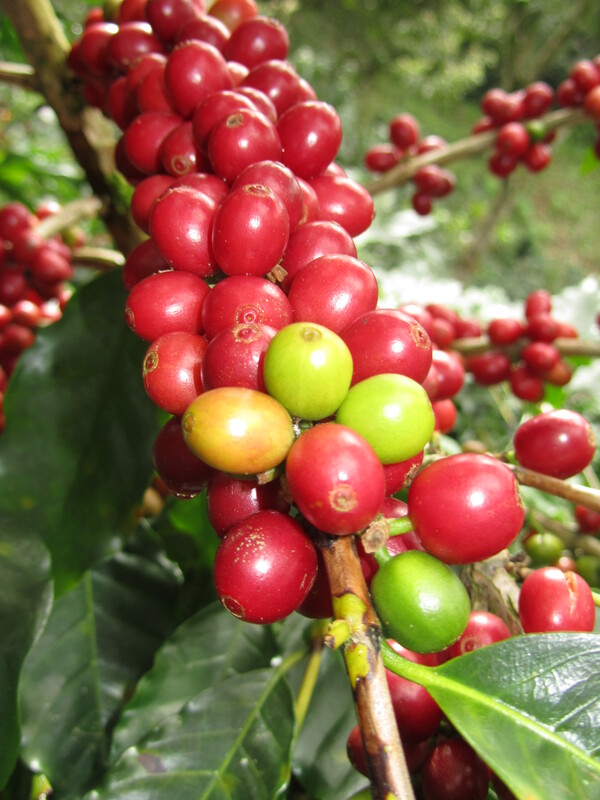 It is a coffee we think anyone interested in Central American coffees should enjoy. 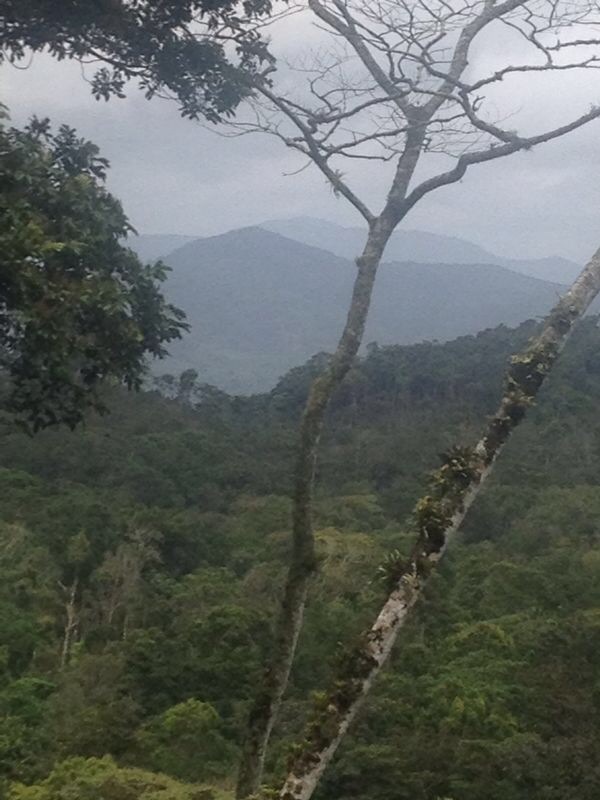 Finca Idealista, Matagalpa on the border of Jinotega, Nicaragua. Feb 2018 – Landed Nov 2018. Anaerobic fermentation 55 hours. Solar dried on raised beds. 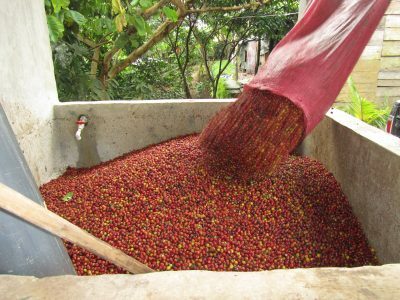 A four and a bit star complexity coffee, sweet and juicy with mandarin / apricot and raw almond undertones. 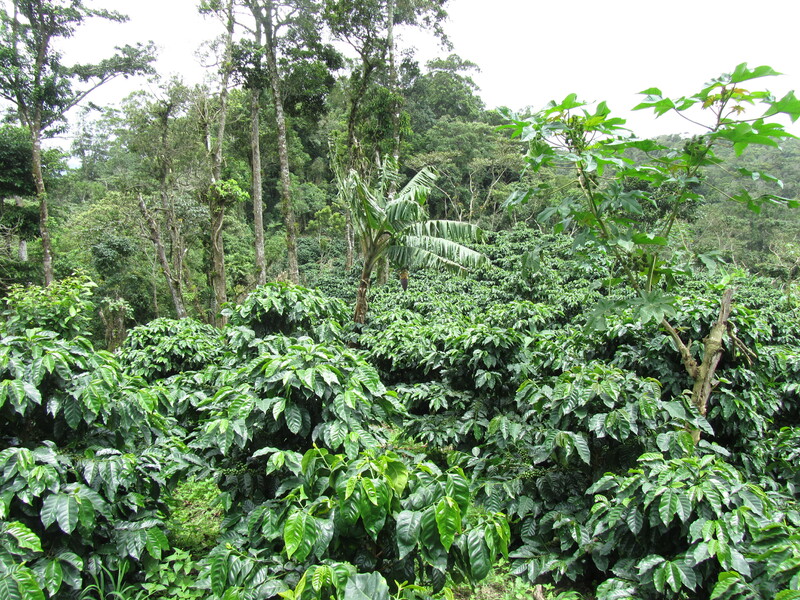 Gold mountain gave us a cupping score of 88.5 for this coffee.